Indian Tent bring a beauty in any tent with Indian Tent is wrapped with different color of curtains in various style. Exotic Garden Tent:- Exotic Garden Tent is easily constructed in huge place. Decoration of these tents is such a fabulous and everything is available in tent for your guests. Classic Garden Tent:- Classic Garden Tent is placed on mid of garden ,which curtain is made sky and white color and to bring a refreshment feeling. Imperial Garden Tent:-Imperial Garden Tent are made high quality of material which have unique borders that help to improve the beauty of tent. Traditional Garden Tent:- Traditional Garden Tent is designed in a stunning printing and amazing shades. Traditional Garden Tents is constructed easily and looks are so eye-catching and natural. 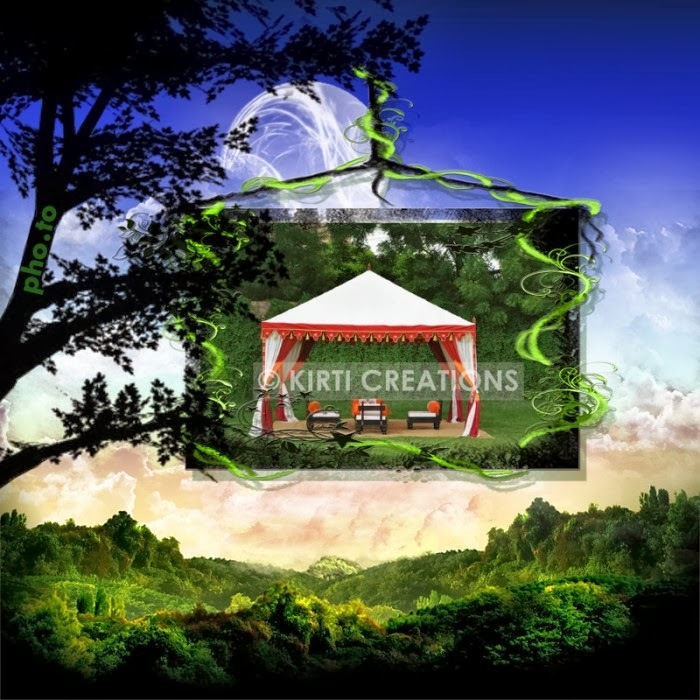 Indian Tent are made according to our client's choice.Indian Tents is carry beauty with durability.We say to our client's that these tents is inspired on Indian traditional.